Isabelle Kocher is currently Chief Executive Officer of Engie (previously GDF Suez). She joined the Suez Company in 2002 (then GDF-Suez now Engie) within which she has held functional and operational positions for 12 years. She served as Deputy CEO and chief operating officer of GDF-Suez between October 2014 and April 2016. She was appointed in 2011 as Chief Financial officer of GDF-Suez. Before being promoted to Managing Director of Lyonnaise des Eaux (subsidiary of Suez Environnement) in 2009, she was nominated as Chief Operating Officer in 2007. She became Senior Vice President in charge of Performance and Organization programs in 2005. Between 2002 and 2005, she was Vice President in charge of strategic overview of the Suez Group. Between 1999-2002, she worked as Industrial Affairs Advisor at the French Prime minister office. 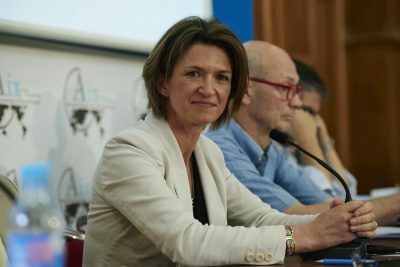 From 1997-1999, Isabelle Kocher was Director of the postal and telecommunication budgets, followed by the defense budget at the French Budget Department. She has been made a “chevalier de la legion d’honneur” and a “chevalier de l’ordre du mérite”. She is member of the Board of Suez and Axa Group. She is Chairman of Terrawatt Initiative, a global non profit-organization designed to implement a new global energy mix that corresponds to a new energy paradigm. She is married and has five children aged 9 to 23. She is a great sportswoman and she appreciates specially swimming. She also likes playing piano. She has a personal for sculpture. 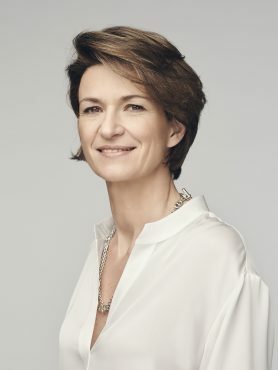 Isabelle Kocher is graduated from Ecole Normale Supérieure (Ulm) and Mines Paristech engineering school, as a civil servant “Ingénieur du corps des Mines”. She holds as well a Master Degree in Quantum Optics as well as a Postgraduate Certificate in Physics.